The global telecom cloud market is likely to make steady progress in the coming years due primarily to the rapid expansion of the telecom sector in developing regions such as Asia Pacific, the Middle East, Africa, and Latin America. Rapid urbanization in dynamic economies has led to a mounting need for communication protocol that can keep up with the ever-changing environment, lending the telecom cloud market a major boost. The massive consumer demographic in these developing regions is a major driver for the global telecom cloud market, as exponential growth of the telecom sector is likely in highly populous and economically progressive countries such as India, China, Brazil, Indonesia, South Africa, Saudi Arabia, Argentina, and Mexico. The increasingly congested telecom sector in developing countries is a promising field for the cloud sector, as the use of advanced technologies such as telecom cloud is likely to remain an important factor in the race for a competitive edge in the telecom market. In populous countries such as India and China, in particular, the ability of a telecom operator to cleverly utilize cloud technology to maximize their benefits could play a vital role. The rising smartphone ownership in leading Asia Pacific economies is a key factor the telecom cloud market. In countries such as India, China, and most other Southeast Asian countries, access to the Internet isn’t remarkable in rural areas and has primarily been boosted by the rising availability of smartphones at affordable prices. The relatively recent entry of digital services in government services in these countries has opened up a significant need for technology that can support immense volumes of data, leading to strong growth prospects the telecom cloud market in Asia Pacific, which is likely to remain the leading regional segment of the global telecom cloud market in the coming years. Mobility, a continuously rising network of high-speed internet, and cloud computing have emerged as the three crucial cornerstones of a typical networked or connected business ecosystem. As the entire world moves towards a connected future, telecom companies are coming to terms with the opportunity to exploit the growth opportunities offered by cloud services, as both - the providers as well as the adopters of the cloud technology. 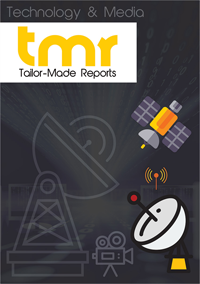 This report on the global telecom cloud market presents a detailed overview of the present growth dynamics of the market and its segments. Vast forward-looking statements regarding the growth prospects of the market over the period between 2017 and 2025 are also included with the help of a thorough analytical analysis of market’s present growth dynamics, inputs from industry experts, and industry-best analytical tools. The report also includes a detailed overview of the competitive landscape of the market, wherein vast data pertaining to aspects such as recent developments in manufacturing technologies, updation of product portfolios, involvement in activities such as mergers and acquisitions, market share, and finances related to some of the key vendors in the market is included. The report also presents a detailed SWOT analysis of all the market vendors profiled in the report, presenting an analysis of the strengths and weaknesses of these companies as well as opportunities and threats affecting their future growth prospects. The global telecom cloud market is expected to exhibit growth at a remarkable pace over the report’s forecast period. The key factors expected to drive this market include the highly competitive nature of the telecom industry, the need to cut down administration and operational costs to survive amid intense cost pressures, the need to provide excellent services to the highly aware consumer, and the increasing awareness about the vast benefits of cloud computing among telecom companies. Although the market has excellent growth prospects, some factors such as the concerns regarding data security in cloud storage and the rising numbers of highly sophisticated data thefts in the past few years are expected to present challenges to the growth of the telecom cloud market. Nevertheless, the market will observe significant traction owing to high demand from small- and medium-sized enterprises, especially in developing economies. Having realized the vast cost and speed benefits of cloud computing, the demand for cloud solutions across this sector will considerably rise in the near future. Solutions especially made for the specific needs of small and medium-sized enterprises will emerge as one of the top revenue generators for the global telecom cloud market in the near future. Of the key regional markets for telecom cloud, Asia Pacific is expected to emerge as the one with the most promising growth opportunities over the report’s forecast period. The vast rise in population and the increasing consumer base of broadband data services and smartphones will compel telecom operators in the region to adopt flexible and cost-effective cloud computing models for providing effective services. North America is expected to be the leading contributor of revenue to the market owing to the presence of some of the most technologically advanced telecom companies in countries such as the U.S. and Canada and the rising investment on the development of data centers across these countries. Some of the key vendors operating in the global telecom cloud market are AT&T, Inc., Deutsche Telekom, Level 3 Communications, Inc., Verizon Communication, Inc., and BT Group PLC.